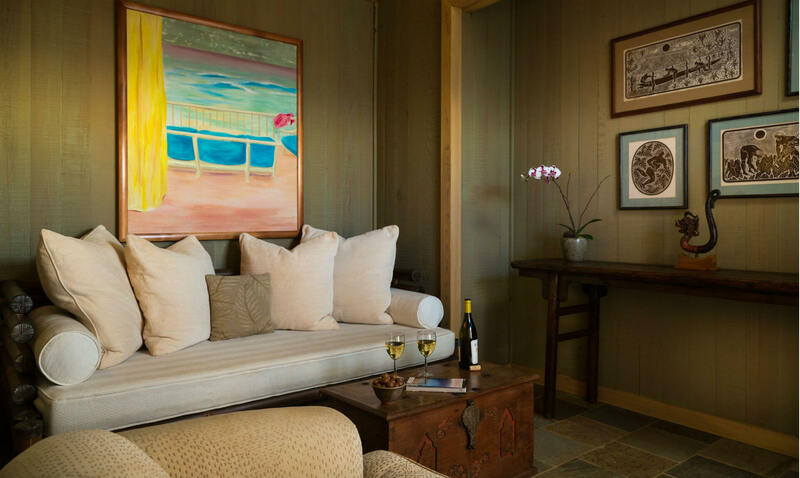 Privately situated on the pool level with views across the pool deck. 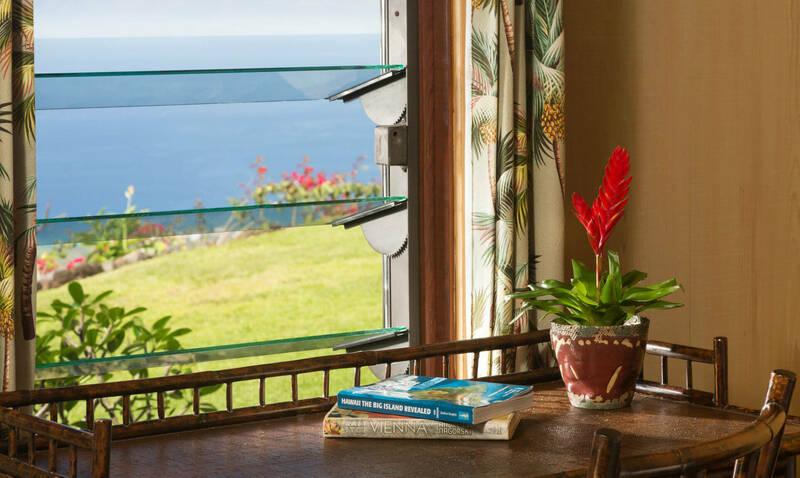 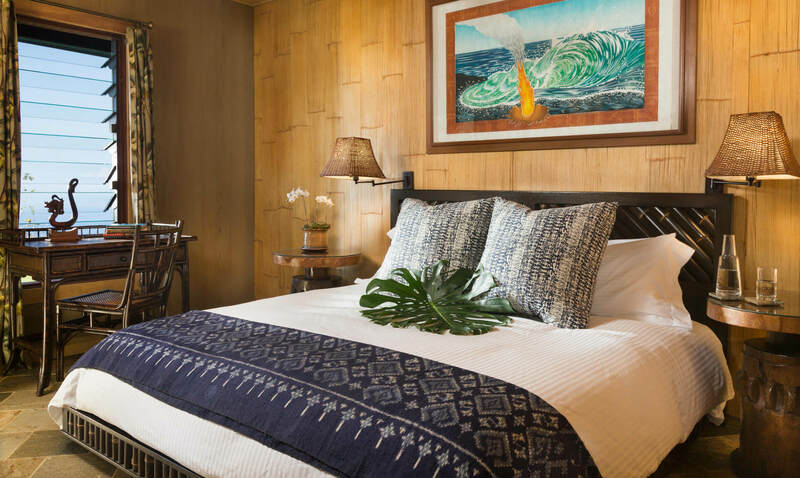 This room includes a king bed, separate sitting room with day bed, TV, private bath with walk-in shower, tropical garden views and a peek of the ocean. 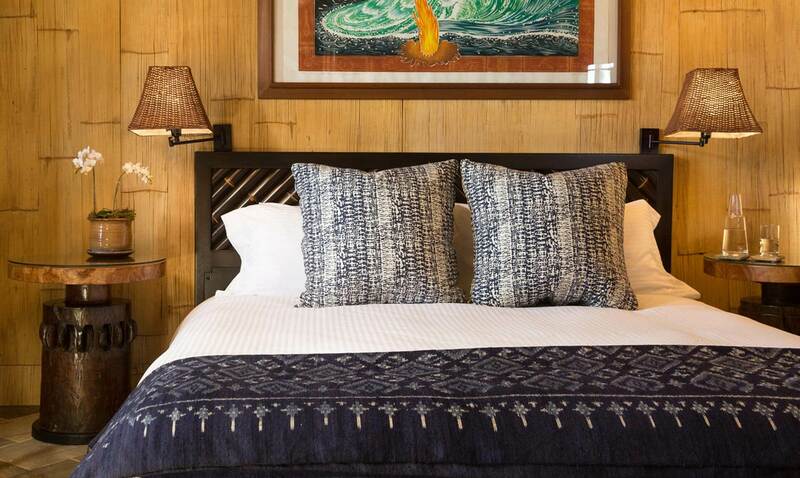 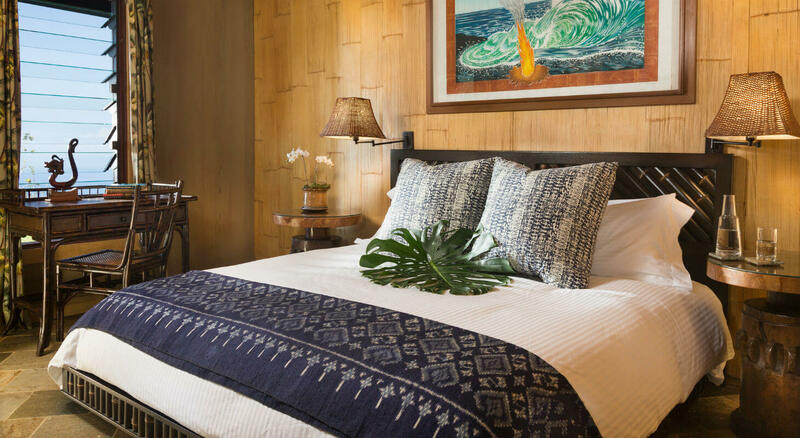 Plan the perfect romantic getaway in the beautiful Plumeria Suite at our inn!